On Saturdays 3rd, 10th & 17th December,Grand Central will run an additional morning service to York for the Christmas markets. Anyone with York as their destination, especially those without an advance reservation, are encouraged to use this additional service as the second regular morning train (1A61) to Kings Cross is expected to be very busy. Times for this extra service are Sunderland dep 0911, Hartlepool dep 0935, then the usual stops to York, arrive 1100. Tickets for this train can be booked in advance, but if you are paying on the day and hope to get a seat, then this is the train for you. 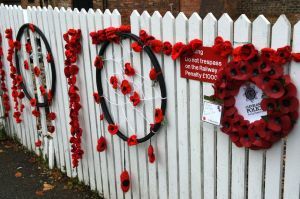 A short service of remembrance at Nunthorpe station was given by The Rev. 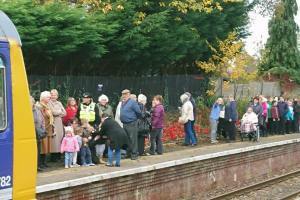 Sue Greenwood and Rev Angela Levitt-Harwood, the north east Railway Chaplain from York, It was well attended. by residents of Nunthorpe, children from Nunthorpe Day Nursery and The Avenue Primary School, members of the Neighbourhood Policing Team and Councillors from both the Redcar & Cleveland and the Middlesbrough sides of Nunthorpe along with representatives from the Parish Council. 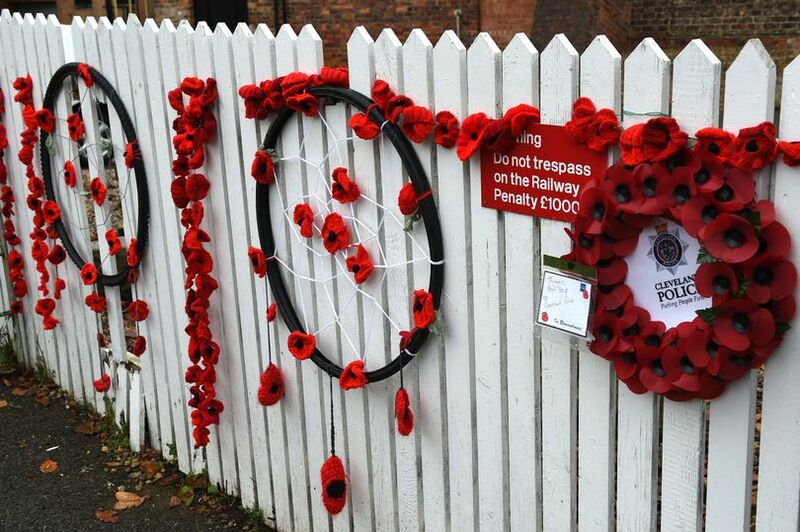 The station display including many knitted poppies is now officially open. We ask that people, as always respect the display.